Ross and Moe were great with helping my boyfriend get a car. He has a difficult time making up his mind so I was there to help in the process. 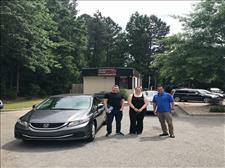 They were extremely patient and thorough and for salesmen, especially car salesmen they weren’t pushy and shoving us to make the purchase right away and let us take the time we needed to make sure we were buying the right car even when he changed his mind. We took the car to another mechanic for an inspection and it checked out well with only one minor repair which they fixed right away when we got back to NC Auto Imports and we drove off the lot the same day. Alex tells me at least 10 times a day how excited he is to have his new car and how much he loves it and I’m so glad we used these guys. I highly recommend these guys, not only for their cars, but for their customer service. Purchased sight unseen a 2004 Nissan 350z from Moe at NC Auto Import! Moe made me feel very comfortable about himself and his integrity as a business man. The car has been everything he has said. In addition he left the door open for me to call him and continue to get his input on issues with the vehicle. Can't say enough good things about Moe and NTC!  If you are looking to buy a car you need to check this place out. More specifically, you need to go see Mo. Great prices on cars and they make the buying experience seamless. I will 100% buy my next car from here. Thank you NC Auto Import for the awesome service. 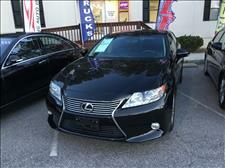 We are loving our Lexus ES 350!! 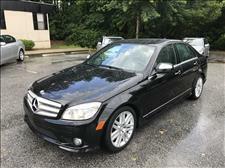 Purchased my Mercedes-Benz C300 from NC Auto Import a few days ago. It was the best car purchasing experience I've ever had. They were kind, patient and not pushy at all. They answered all of my questions and even sat down with me to review the CarFax from another car at another dealership that I was considering. The advice I received was sincere and honest. I will definitely do business with NC Auto Import again in the future!